For sometime now there is a huge debate brewing on regarding intolerance in India effectively creating a schism between the various sections of Indian society. While each group is busy voicing their fears or anxiety accusing the other of ruining the culture and heritage of India, none seem to pause and grasp the idea of how their internal strife is playing out in the geopolitical theatre. More importantly while we are so busy fighting among ourselves like cats; who really is the monkey gaining from our internal divide? To achieve the total control of India, the British used the Divide and Rule policy in terms of religion, clan, tribe, caste, region and language; the effects of which we are still felling as a continuous descent into mental, emotional and psychological slavery from which Indians were never able to come out. 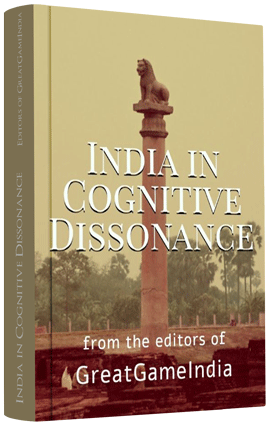 The social engineering was in such a way that in 100 years Indians lost everything of their glorious traditions – culture, customs, sciences – thinking that they have nothing to do with them and meekly surrendered to the British and their system of education. With the tensions flaring up with Pakistan in regards to Kashmir, Baluchistan and Afghanistan it becomes all the more relevant now. When India was neither divided nor occupied by the British, an article was written by Afghani a resident of the subcontinent of India in 1883 where he analyzed the coming dangers to India which they viewed as a source of inspiration and centre of knowledge. He also analyzed the British mind and the Great Game at that time incisively and explained their methods for one and all. Most importantly he warned that Indian intellectual mind will be destroyed, disrupted and dissipated where by making India a voluntary slave nation. He warned the Balkanization of India and Talibanization of every religious group in India. In the end he said there is still time to correct ourselves and correct the course of mankind. From the time of Afghani, Afghans in general, Pathans in particular, never recognized the partition of India. For them it is still India of the yester years. A Dance of Death – This World War II leaflet shows Churchill as a fight promoter encouraging two Indians (a Hindu and a Muslim) to fight to the death. There are at least six dead Indians on the ground of the enclosure where the fight takes place. It points out how the British have set Indian against Indian to weaken them and make them easier to subjugate. The text says: Stop dancing to the English tune and come together forgetting religious differences for the sake of independence. True to his predictions, India became forever (in)dependent on her masters; her mind conquered, intellect destroyed, and wisdom blown to winds. With the destruction of Kashmir, India’s spiritual strength also descended into abysmal ignorance leaving jnanam Mleccha (mleccha meaning “non-Vedic”, “barbarian”, also romanized as “Mlechchha” or “Maleccha” referred to people of foreign extraction in ancient India) in control of all her affairs-from spiritual to political. Now, either telling the truth or gaining knowledge became a crime, or people who want to blow the whistle at crimes and to pursue truth are being polarized on deceitful slogans or are becoming experimental objects of mockery in the world. One such polarization is a common belief of many such misguided nationalists that any one, if has a Muslim sounding name, must be either a Pakistani or a terrorist. So all such people should be sent to Pakistan using the next available quickest transportation system. But many forget that India has more number of Muslims than the entire population of our western neighbours. Today, what we forget is, after independence Indians looted many of our cultural heritage sites, sold temple properties, confiscated temple wealth on a scale of thousand times more than what other invaders did. Also we never talk about the loot and plunder of British and Portuguese in India or the extent of damage Europeans did to our intellectual mind set. We hope the video and this article opens a new avenue of thinking towards true learning in the otherwise dead intellect of many Indians and will show a bright future to the country. 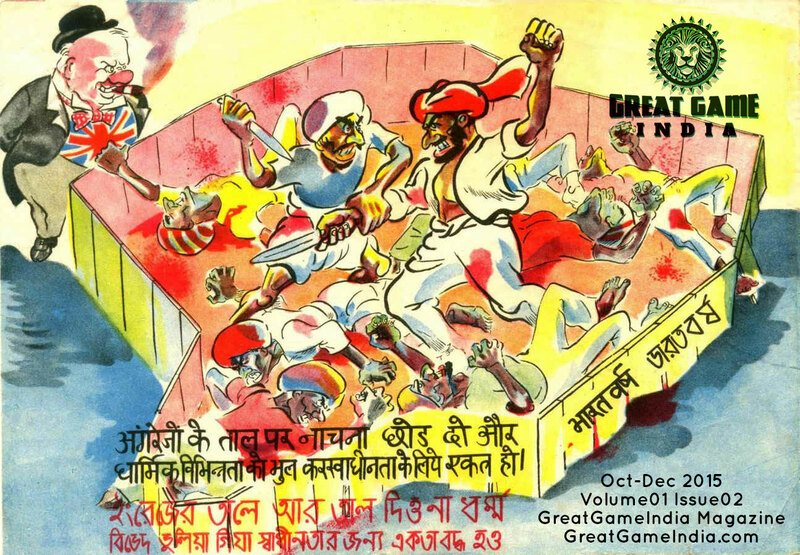 Read the article titled Orient & The Orientals translated almost a century after it was written and forwarded to the Editors of GreatGameIndia Magazine by Mujeed Ludin, an Afghan activist working for peace and prosperity in Afghanistan, only in GreatGameIndia Magazine.